Just like its population, Vaughan’s businesses are diverse and exceptional. Not every business will thrive in the exact same environment, so it’s up to each and every business owner to establish the workplace that’s best for them and their employees. But if you’re a local business owner, how do you know what that optimal work environment is? Chances are you’re more focused on day-to-day operations and the big picture for your business than you are on your office’s interior design. That’s where Alliance Interiors can help. Our design team focuses on planning and establishing “business environments that make sense”, meaning we create office spaces that are professional-looking and visually appealing but also tailored to each individual business’s specific goals. We believe that the ideal work environment can help businesses realize their full potential and improve their bottom line. Your office may not be visibly falling apart, but it can probably still benefit from a remodel, especially if you haven’t made any major changes in years. An optimal work environment improves communication, productivity, and employee morale. A lot of businesses have switched to an open office layout in the past decade or so in an attempt to appeal to younger workers and encourage collaboration, and you may find that switching from cubicles to this type of layout is beneficial to your own business. On the other hand, you may have already tried an open office layout and found that it’s more disruptive than helpful. The best work environment depends on the business and the work style of the employees, and Alliance Interiors can help you determine whether you should use an open space, cubicles, or something in between. Your office is a reflection of your business. The office is a space to brand your business, yet many entrepreneurs fail to fully use their office to reflect their business goals. For example, a tech company may come across as out-of-touch if it operates out of an office that looks like it was designed in the 1970s, and a law office isn’t going to impress clients if it looks chaotic and disorganized. Make sure your office is making the right impression on customers, clients, and job candidates by remodeling with Alliance Interiors. You and your employees need a comfortable work environment. You and your employees are most likely spending 40 or more hours a week in your office, so you need a pleasant and comfortable environment. Even a few minor changes—like replacing old task chairs with ergonomic chairs tailored to your employees or rearranging your work stations so employees aren’t bumping elbows—can go a long way in reducing absenteeism and turnover and keeping you and your employees motivated to work hard. Office Interior Design Services. We specialize in coming up with smart design solutions that fit with the space and budget of each individual business. Let us transform your office into a more efficient, productive, and comfortable work environment. Home Office Design Services. We know there can be a lot of distractions at home, so it’s essential that you have a professional work space that’s optimized to minimize those distractions while allowing you to work comfortably and productively. Office Project Management. If you don’t have years of experience in the interior design business, you might be unsure how to begin planning a remodel. That’s okay, because Alliance Interiors has all the experience you need. We’ll sit down with you to plan a remodel, establish a budget and timeline, and even procure construction drawings when necessary. Office Space Planning. If you’re wondering whether your office might benefit from a different layout but are hesitant to start moving everything and everyone around, call Alliance Interiors. We have experience working with businesses to determine the best layout to help meet business goals and improve workplace satisfaction. Corporate Office Relocations. That’s right, Alliance Interiors can even assist in your office relocation, whether you’re moving across the hall or across Vaughan. We’ll bring in a moving team and help facilitate the transition so there’s as little disruption to your day-to-day operations as possible. Office Furniture Procurement. Last but certainly not least, we work with some of the best, globally sustainable furniture brands in Canada in order to provide your office with the modern, functional office furniture you need. Are you worried that new office furniture isn’t in your remodeling budget? 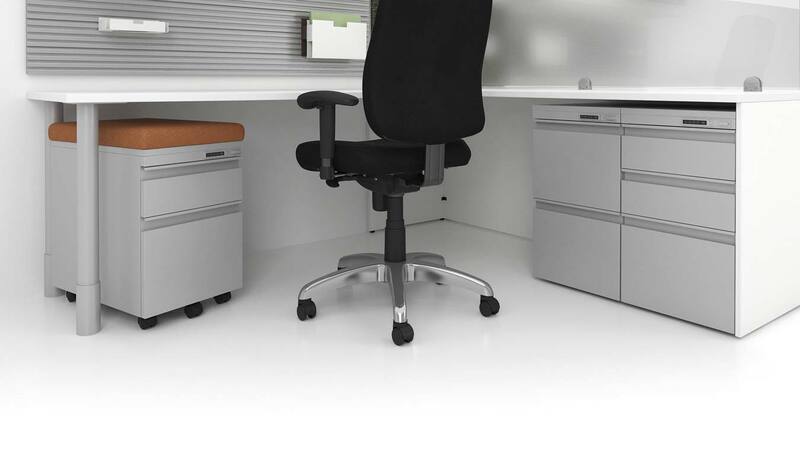 Before you discount the idea of updating your office furniture, talk to Alliance Interiors. When you work with Alliance Interiors to update your office furniture, you can be sure that you’ll get a reasonable price and that your new furniture will arrive promptly—eliminating all the hassle of sourcing your own furniture. If you’re ready to optimize your Vaughan office, Alliance Interiors is ready to help. And if you’re still unsure whether you want to utilize our services, we encourage you to contact us anyways. We’d be happy to answer any of your questions and tell you more about what we can do for your business. Find out why more and more Vaughan business owners are choosing Alliance Interiors for their office design and remodeling projects—start working with us today. We look forward to showing you how our design experience can help you meet your business goals.